A comprehensive reference guide to help you master more than 200 mixed media concepts and techniques. Featuring a wide variety of mixed media techniques, including drawing and painting, stamping, stitching, ephemera, encaustics, collaging, journaling, and more, The Complete Book of Mixed Media Art is the perfect resource for artists exploring the many ways they can expand their artistic horizons with mixed media art. Each technique is presented with simple step-by-step examples of how to wield basic art tools and materials to effect both traditional and cutting-edge mixed media concepts. Artists will not only learn a variety of new concepts and techniques, but also discover how to apply them within their own mixed media projects. 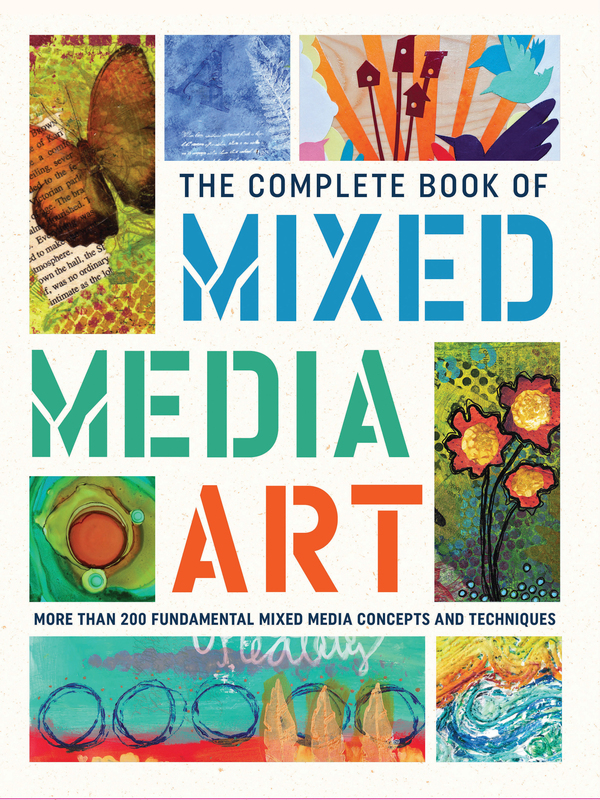 With so many techniques to choose from, The Complete Book of Mixed Media Art will inspire artists of all skill levels to explore the many ways they can get started with the ever-evolving, ever-popular mixed media art form. Founded in 1922 by artist Walter T. Foster, Walter Foster Publishing, an imprint of The Quarto Group, is the worlds leading publisher of instructional art books and kits for adults and children. Walter Fosters diverse selection of drawing, painting, doodling and mixed media art books and kits have created a foundation for millions of beginning, intermediate, and advanced artists looking to hone their talents, learn new techniques, and discover different mediums. From color mixing recipes and art tools to the fundamentals of drawing and painting, Walter Fosters books cover a wide variety of topics and mediums across a broad spectrum of traditional and eclectic subject matter for artists of all skill levels. Walter Foster Publishing continues to expand its offerings every year, producing cutting-edge art-instruction books and kits for a worldwide audience.